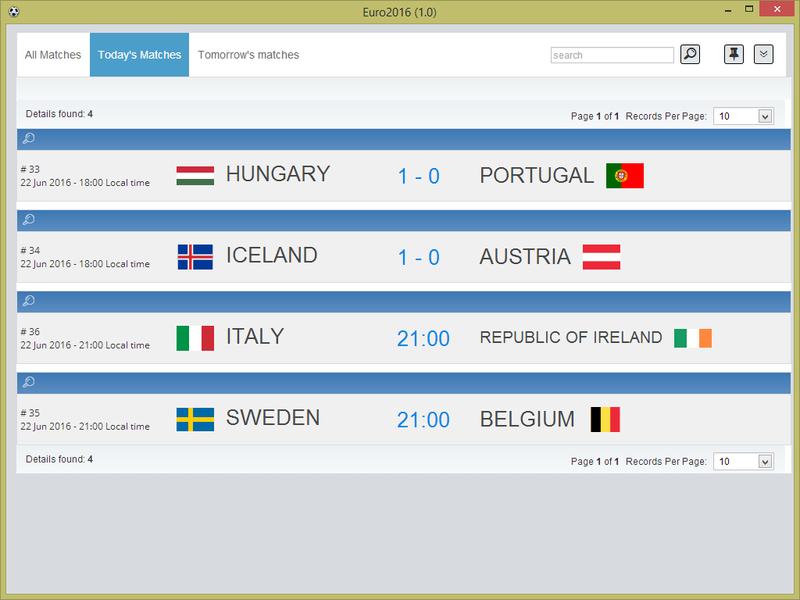 In this new version we are providing an easy way to display any page in Bootstrap popup window. Welcome, Runner.displayPopup() function. This is a just for fun PHPRunner project similar to one we built for World Cup 2014. Check this live demo first. This project requires PHPRunner 9.0. Yes, there is a desktop app for this project. Download it, install it, run it and enjoy. Ignore the security warning, we didn't sign this one yet. 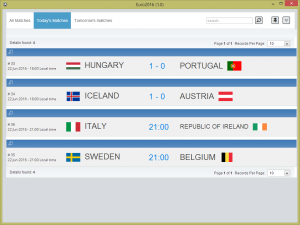 This project uses live Euro 2016 data provided by football-data.org in JSON format. PHPRunner project makes the use of this data and if will not work if they website is down for any reason. 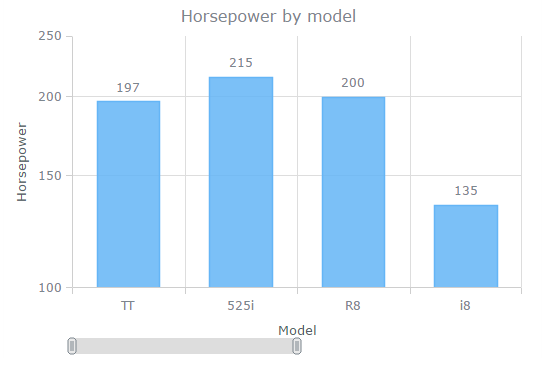 In PHPRunner 9, ASPRunner.NET 9.0 and ASPRunnerPro 9.5 we are switching to new version of charting components: AnyChart 7. What does this mean for you as a user? We are adding ChartModify event that would allow you to tweak charts appearance and behaviour in endless ways. 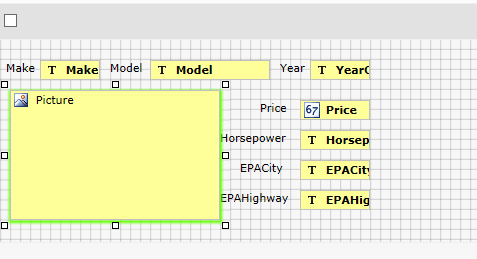 You can copy and paste basically any example from AnyChart manual as is. 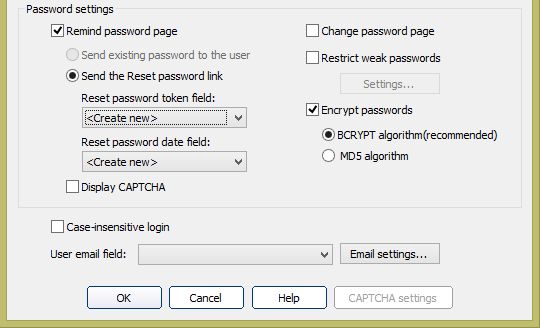 Below are a few examples of how you can use ChartModify event. Web applications generated by PHPRunner, ASPRunner.NET or ASPRunnerPro communicate with databases via means of SQL queries. Whenever you search, edit or delete data your web application issues a series of SQL queries, gets results back and displays it on the web page. Understanding the basics of SQL will help you build better apps and find errors faster. Similar to Excel-like grid discussed in previous article this technique helps you to achieve similar goals. Instead of bringing up the whole edit page you can click that single field you need to edit, change its value and see your changes posted to the database automatically. Some applications may require to provide users with quick editing capabilities. While Inline Edit does just that entering inline edit mode for multiple records can be painful. It would be much easier is some or all fields appear as edit controls when page is loaded. While PHPRunner/ASPRunner.NET/ASPRunnerPro do not have such functionality built-in it's fairly easy to implement it in your project. 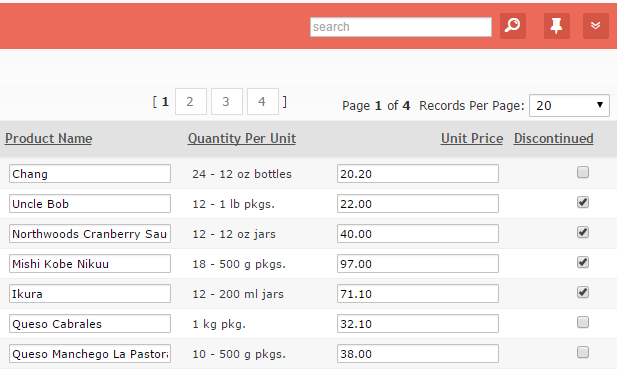 In this sample project we'll show how to make fields ProductName, UnitPrice and Discontinued editable automatically. For now we only support text boxes and check boxes. 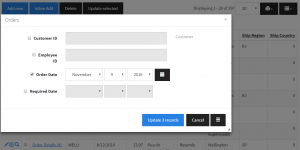 Data is saved automatically once you leave the text box or check off check box. To see that data is actually saved in the database simply reload the page. You can also see how server-side validation works. Enter Unit Price that is less than $20 and move to the next field to see it in action. Record won't be saved until you enter $20 or more price value. Great news! PHPRunner 8.1, ASPRunnerPro 9.1, ASPRunner.NET 8.1 released. Grab your copy now. Here is the list of new features in this update. 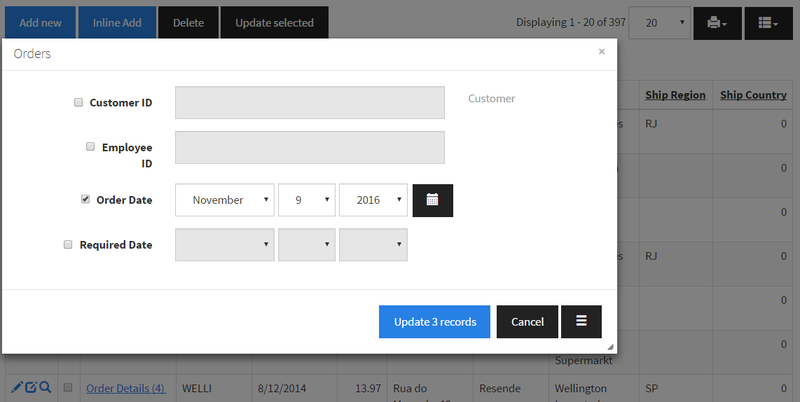 You are no longer required to use HTML tables to arranger fields on Add/Edit/View forms. 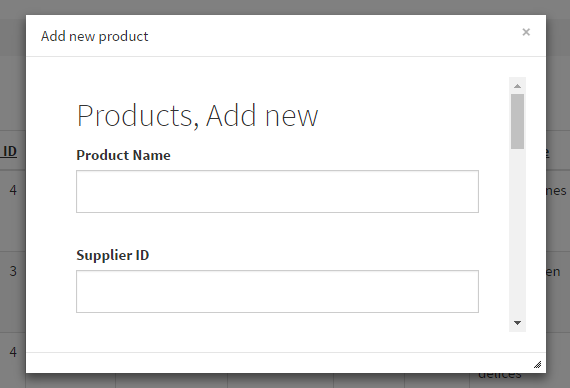 Turn on free-form mode and drag-n-drop fields and labels where they need to be. This mode is available on Add/Edit/View pages and also on List page in vertical mode. This is an example of List page edited in free form mode.